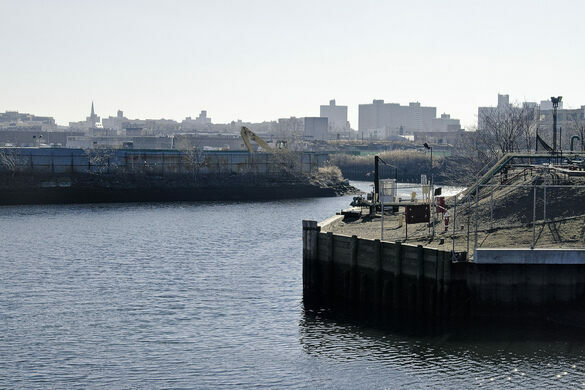 Join Newtown Creek Alliance historian Mitch Waxman for an in-depth exploration of the petroleum and waste transfer districts of North Brooklyn's Newtown Creek watershed. 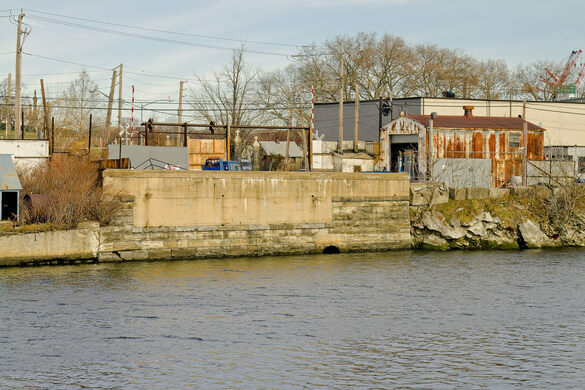 This fascinating tour covers about three miles of the heart of the Greenpoint Oil Spill, heading for the thrice damned Kosciuszko Bridge which is scheduled for an upcoming demolition and replacement project. 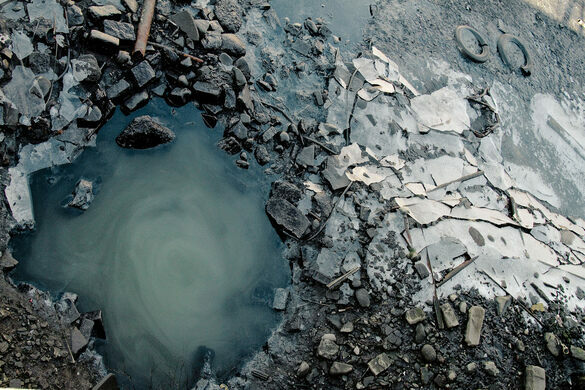 Photographers in particular will find this a fascinating walk through a little known and quite obscure section of New York City. Drivers are encouraged to leave their cars in the vicinity of McGolrick Park in Greenpoint. We will be meeting up at the corner of Kingsland and Norman Avenues in Greenpoint, Brooklyn at 10:00am. Meetup at the corner of Kingsland and Norman Avenues in Greenpoint. Please arrive on time as the tour will begin promptly at 10:00. 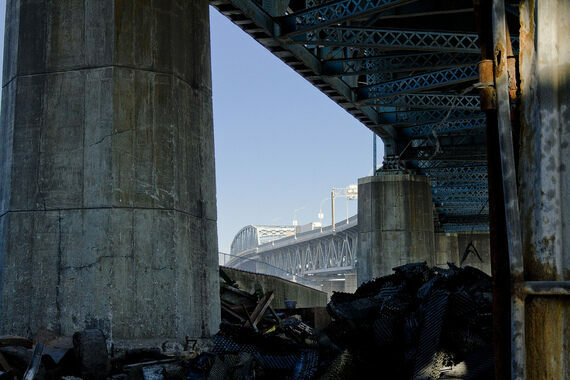 Be prepared: We'll be encountering broken pavement, possible heavy truck traffic, and moving through a virtual urban desert as we explore the concrete devastations of North Brooklyn. Dress and pack appropriately for hiking. Closed toe shoes are highly recommended- as are a hat or parasol to shield you from the sun. Bathroom opportunities will be found only at the start of the walk, which will be around two and a half hours long and cover approximately three miles of ground. Drivers, it would be wise to leave your cars in the vicinity of McGolrick Park in Greenpoint. Meetup at the corner of Kingsland and Norman Avenues in Greenpoint at 10:00. 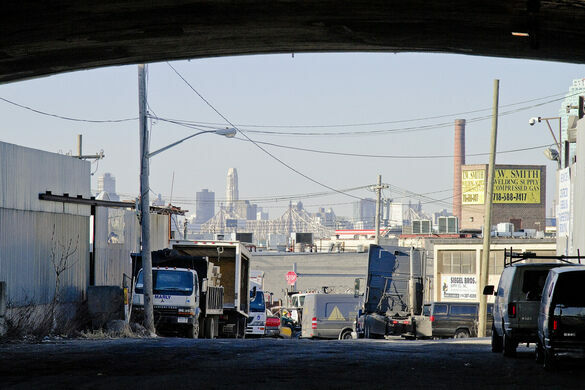 Be prepared: We'll be encountering broken pavement, possible heavy truck traffic, and moving through a virtual urban desert as we explore the concrete devastations of North Brooklyn. Dress and pack appropriately for hiking. Closed toe shoes are highly recommended- as are a hat or parasol to shield you from the sun. Bathroom opportunities will be found only at the start of the walk, which will be around two and a half hours long and cover approximately three miles of ground. Drivers are encouraged to leave their cars in the vicinity of McGolrick Park in Greenpoint.